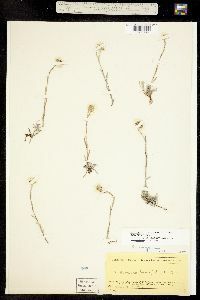 Dioecious. 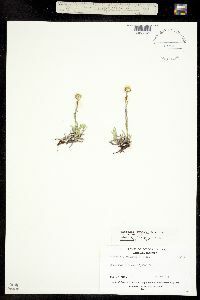 Plants 6-15 cm. 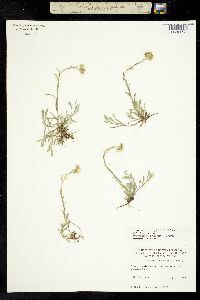 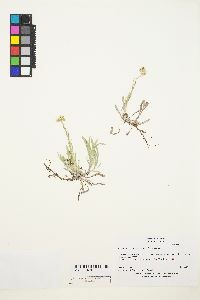 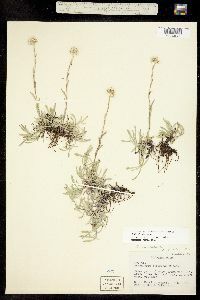 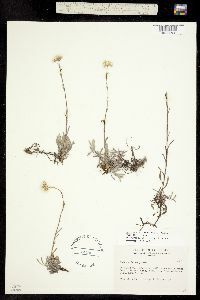 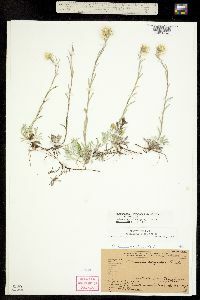 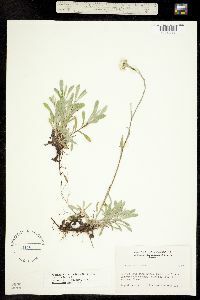 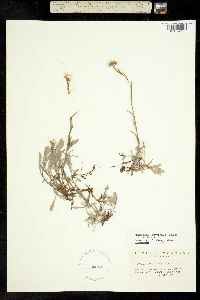 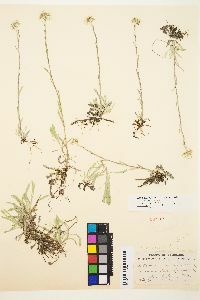 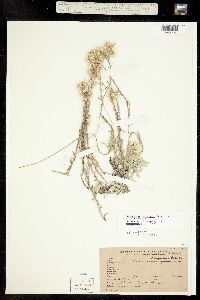 Stolons 1-10 cm. 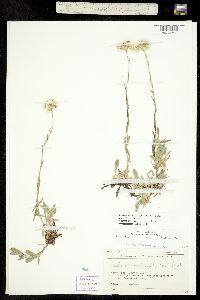 Basal leaves 1-nerved, spatulate, 18-45 × 2-4 mm, tips mucronate, faces ± gray-tomentose. 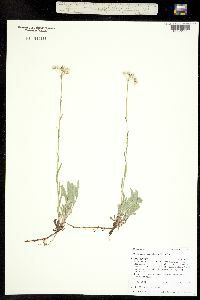 Cauline leaves linear, 8-13 mm, not flagged (apices acuminate). 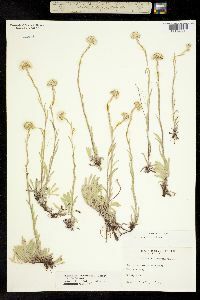 Heads 3-7 in corymbiform arrays. 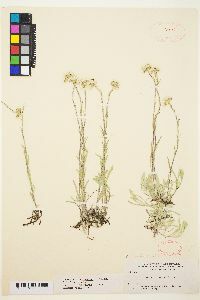 Involucres: staminate 4-5.3 mm; pistillate 4-5 mm. 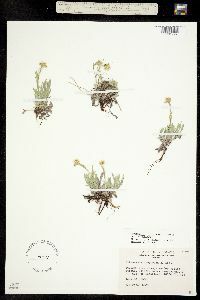 Phyllaries (bases each with distinct dark brown or blackish spot) distally white or light brown. 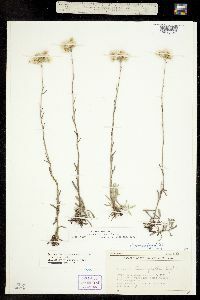 Corollas: staminate 2-3.2 mm; pistillate 2.5-3.5 mm. 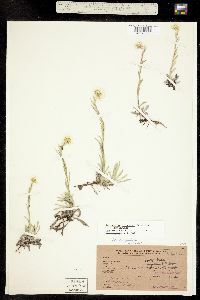 Cypselae 0.5-1 mm, slightly papillate; pappi: staminate 2.5-3.5 mm; pistillate 3.5-4.5 mm. 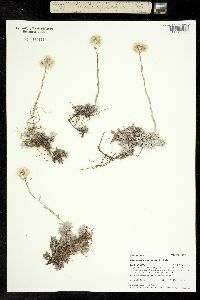 2n = 28. 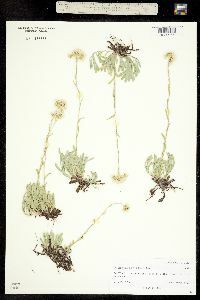 Flowering early-mid summer. 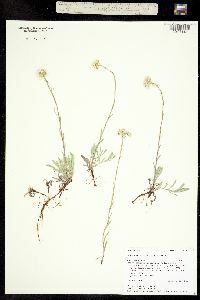 Moist subalpine-alpine willow thickets in the Rocky and Cascade mountains, the Sierra Nevada and mountains of the Great Basin; 1900-3500 m; Calif., Colo., Idaho, Mont., Nev., N.Mex., Oreg., Utah, Wash., Wyo. 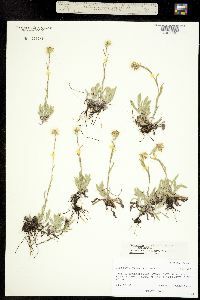 Antennaria corymbosa is characterized by linear-oblanceolate basal leaves and white-tipped phyllaries, each with a distinct black spot near the base of the scarious portion. 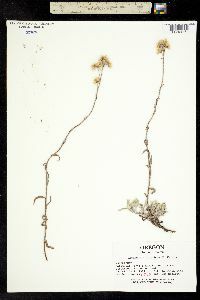 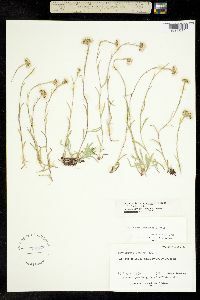 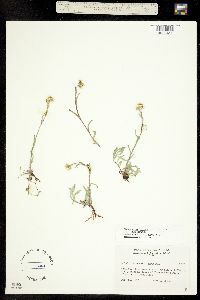 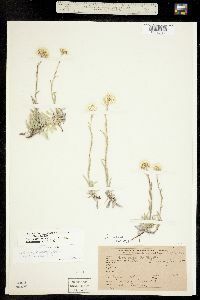 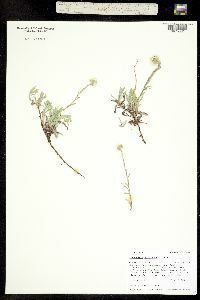 A form with black phyllaries (A. acuta) occurs sporadically throughout the range of the species (R. J. Bayer 1988). 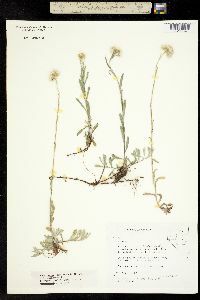 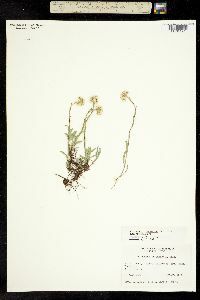 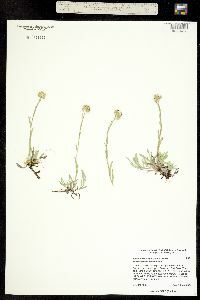 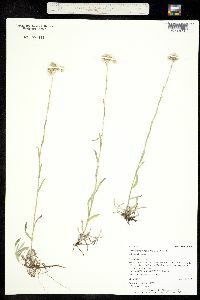 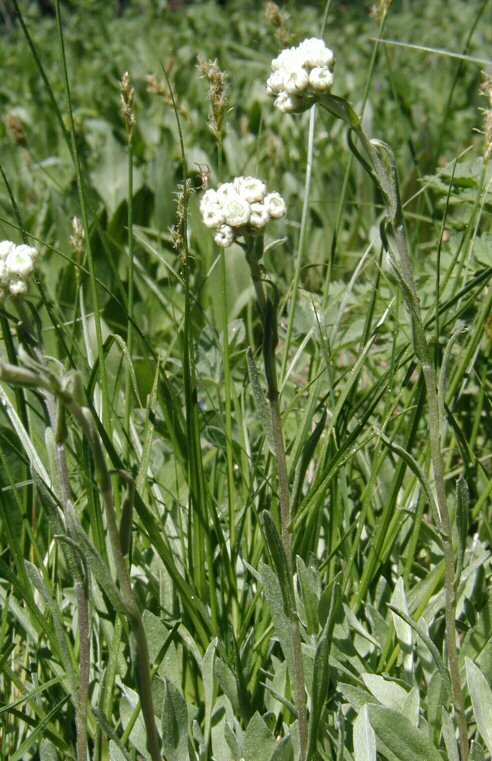 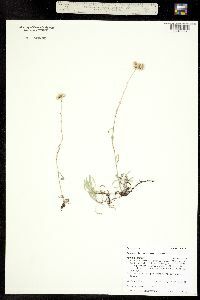 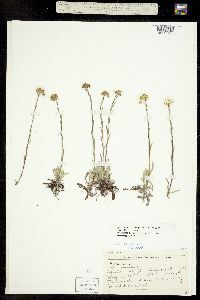 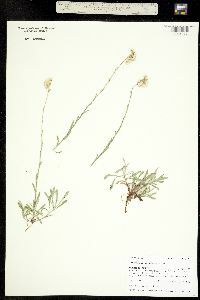 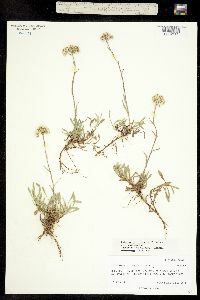 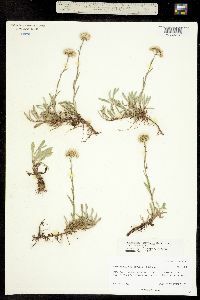 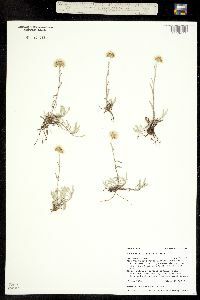 Antennaria corymbosa is a sexual progenitor of the A. rosea complex.